Good: Low hardware requirements, budget price. Bad: Very dated in most aspects. Bad level design. 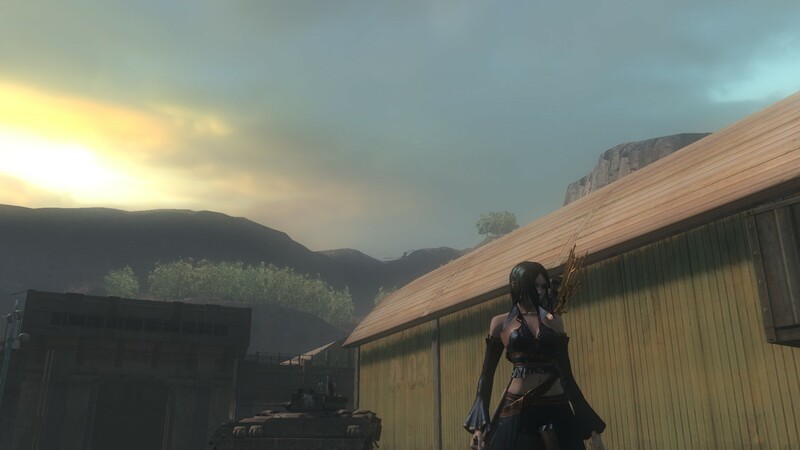 Bullet Witch released over ten years ago, a console exclusive from two generations back. Ironically, it was developed on Japanese soil but only ever saw the light of day on the Xbox 360, never the PlayStation 3. Now in 2018 the game is ported to the modern day Windows machine… We got the chance to take control of Alicia, the titular Bullet Witch, and attempt to save the human race. 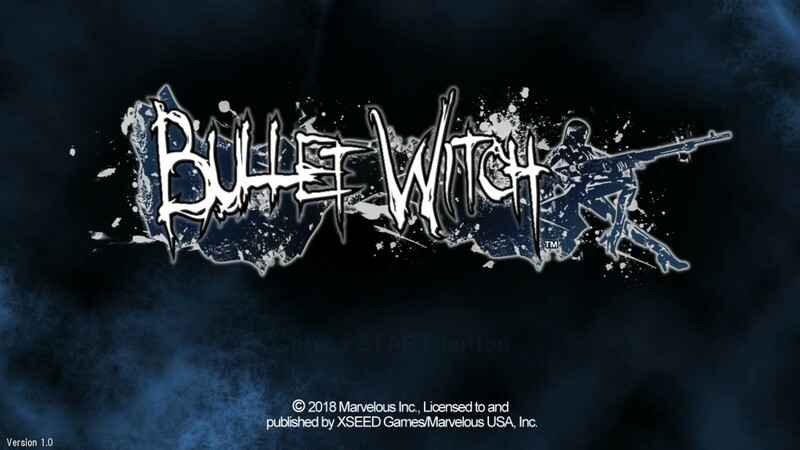 Hose bullets down an alley, summon the power of lightning, or simply impale and incinerate your enemies: Bullet Witch has something for everyone. The game starts with an unskippable cutscene of about ten minutes, in which the plot is outlined somewhat vaguely, but with enough of mystery to keep you intrigued. There is a panting man walking through a forest, who then comes across and jumps into an ominous spiked pit. The camera pans to an overhead view of the forest and we see a bunch of cawing ravens fleeing the treetops. What follows is a series of news reports outlining the fate of the human race from 2007 to 2013, to their eventual point of near-extinction. And then suddenly, you are dropped into the game as Alicia, protecting some humans from the “Geists”, zombie-like demon soldiers. Eventually you join up with a small cohort of the human resistance and take the fight to the demons from there. All in all the story is… forgettable. It makes for a nice backdrop in which to place Alicia, who is a very interesting protagonist, but the whole ends up neither mysterious enough to keep the player involved, nor inconsequential enough to not care about it. The cutscenes are unskippable so like it or not, you will watch them, and chances are you will just not care. Sadly the game maintains that level of plot until the final two levels. Only then do you get a sense of what’s really going on, though there will have been a few hints before that. But just not enough. In the end the story is not bad, it’s just definitely not good. What will keep players motivated to play is Alicia’s mysterious backstory rather than the greater story of humanity’s fate. 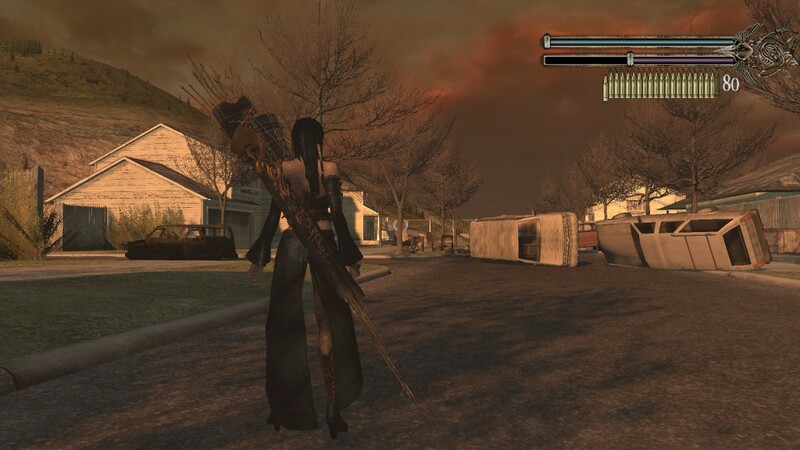 Bullet Witch released back in 2006. No matter how you tweak the settings, it really isn’t going to look great on a modern day pc, heck it wouldn’t look great on a pc from five years ago. Holding that against the game would be a sin – it’s a port and not an HD remaster – but it’s worth pointing out. The port was done nicely though. The game runs smoothly, and that transitions into the graphical department as there being absolutely zero graphical glitches. 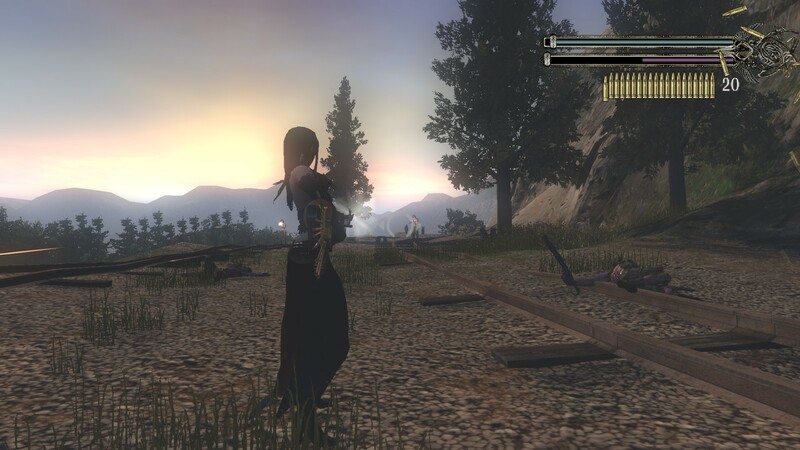 Players can choose to run the game in all sorts of resolutions, can choose between full-screen and borderless windowed, and you even have the option of fully unlocking the framerate. A big annoyance though is how close the camera hovered to Alicia, and how close to the ground it did so. The end result is that Alicia herself ends up blocking a huge part of the screen, and also that it’s quite hard to see over some obstacles such as cars and hedges. You will oftentimes end up being shot at without having a clue where the shots are coming from. The distinct lack of both a map and a compass only makes that worse, but more on that later. Sound is not one of Bullet Witch’s strong suits. The level of Voice Acting for all the characters is terrible, except for Alicia’s. The OST is good, but it only kicks in (with way overthunderous volume) at set points when there are big firefights. During all other parts of gameplay you will only hear the wind howling and the clacking of Alicia’s heels… When the action drops to a low – which happens often due to the level design – the game feels and sounds incredibly hollow. Bullet Witch is tough to properly label. At a glance it’s a third person shooter, but it’s mixed in with some RPG elements and Alicia’s magic powers. Alicia not only has a lifebar, she has a magic bar too. This magic bar is a resource for not only her magic, but also her “gunrod”, the broomstick turned rifle. Reloading this weapon will cost you magic points, though thankfully both of Alicia’s bars regenerate over time. At the end of a level your performance will get scored and, depending on how well you did, you are allotted some upgrade points. How you spend these is up to you: you can spend them on Alicia’s bars and regeneration, on her gunrod, or on her magic. In the case of the gunrod and her magic, you can also unlock new forms and types. But sadly a bunch of them end up being useless, and that is in large part due to the level design. It almost feels like perhaps the developers were trying to make a statement with these levels… Back in 2006. The levels are huge, definitely, but they are also quite empty. That means engagement distances with the enemy usually skew towards longer-range, turning a whole lot of your arsenal useless. It also ends up dampening the action of the game, because you will spend large amounts of your time not only covering distances. but also trying to figure out where you have to go! There is no map and no compass, and the levels are huge and not entirely linear. The obvious result is huge amounts of timing running around in frustration, looking at outdated graphics while you hear nothing but the clacking of heels. Bullet Witch might be a good buy for those who have nostalgic feelings towards the original, or who are running on outdated hardware, or those on a tight budget. After all, the title is priced very modestly. But even then we are hard pressed to give this title anything higher than a five out of ten. 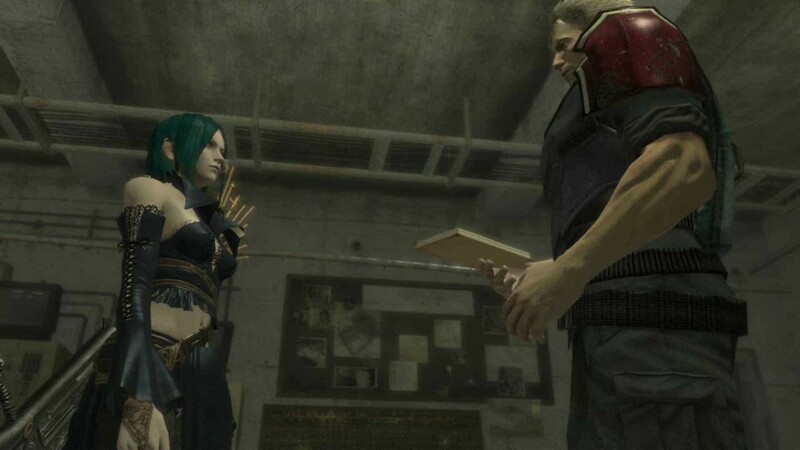 Bullet Witch was a mediocre 2006 title ported to 2018, and it shows. It would be quite a bit easier to forgive its shortcomings if the game could distract you from them with an onslaught of action, but in reality the opposite is the case. Some guy with a passion for fighting games and a penchant for procrastination.